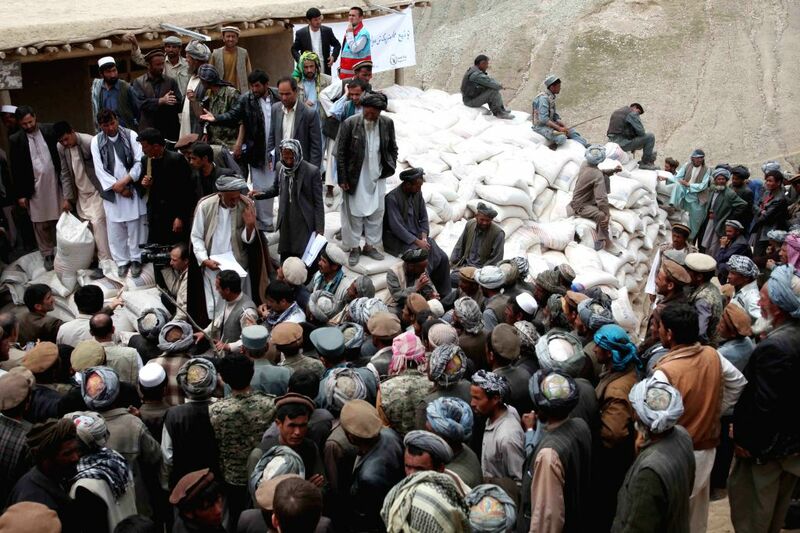 BADAKHSHAN, May 5, 2014 - Afghans wait to receive relief food after landside in Badakhshan province, northern Afghanistan, May 4, 2014. The deadly landslide occurred Friday in the mountainous province of Badakhshan. Although there is no official death toll, provincial governor Shah Waliullah Adeeb told Xinhua that more than 2,500 people might have lost their lives.